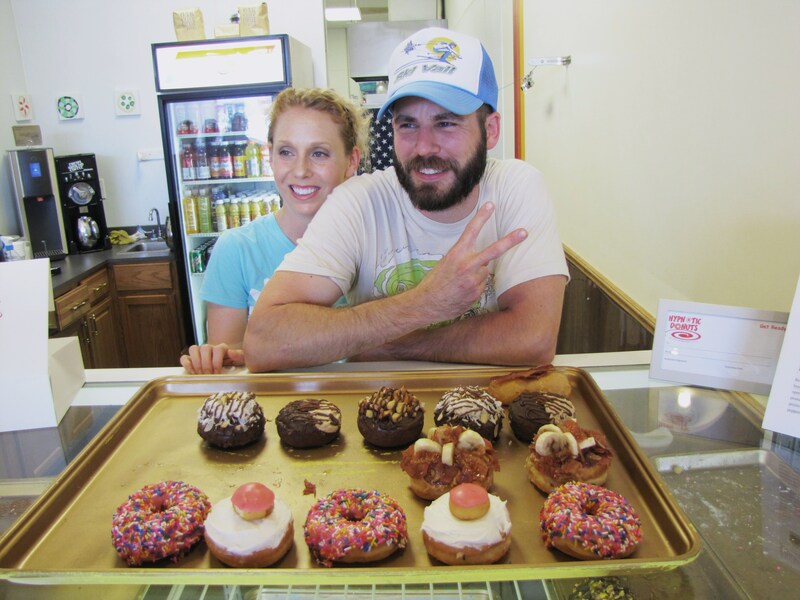 When you meet donut mogul and owner James St. Peter you can’t help but sport a smile. This man is seriously the Willy Wonka of fried dough and seems to meet each day with verve which is spoon-fed by his artistry. This leaves his customers in total fascination. St. Peter’s product is total comfort food at its finest. Orgasmic and wacky ingredients aside, Hypnotic is also gathering a large swell of kudos on their biscuits, obligingly made by in-house chef Paul Milano who has been given the title of Buda of Biscuits and Chief of Chicken. 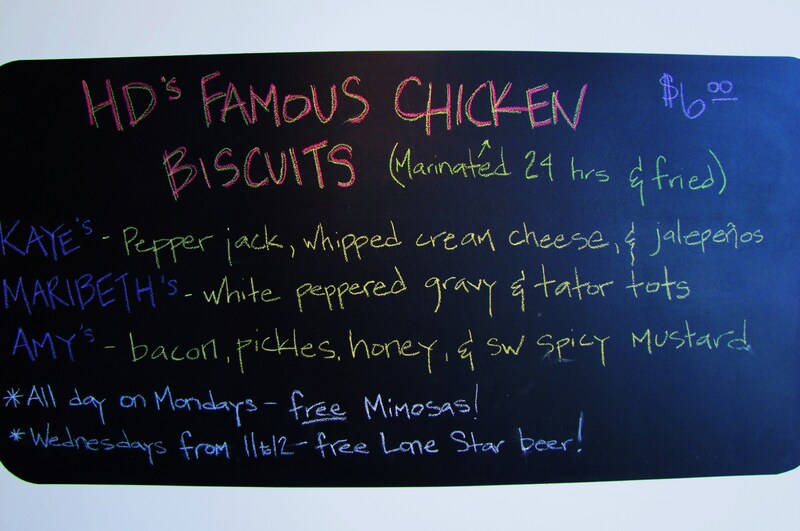 No ordinary chicken and biscuit, these are massive and delicious all at once. Named for the feminine employs of Hypnotic there are several varieties that stand out such as Kaye’s, which is stuffed with pepper jack cheese, whipped cream cheese and jalapenos. Or Meribeth’s which sports white peppered gravy and tater tots. All the above is served with a slab of chicken that has been maribated 24-hours and fried. 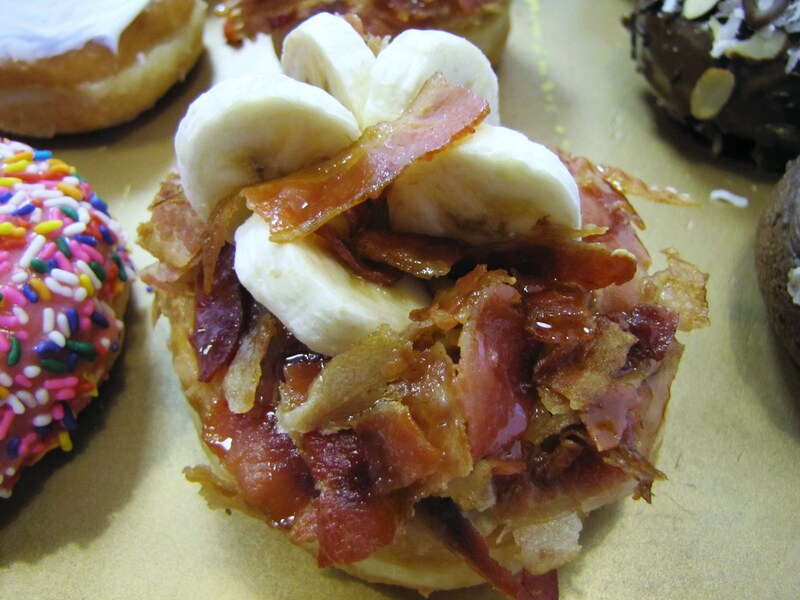 Whether you are in for the crazy donuts or the chicken and biscuits, you will find Hypnotic certainly does not lack for comfort. Oh, and don’t think we didn’t notice the sign. Free Lone Star beer on Wednesdays from 11am to noon, and complimentary mimosas all day Monday. Not only is a friendly staff. But, they are police friendly to.